Chromebooks come in a range of sizes and configurations these days, including convertible models that double up as both laptop and tablet. 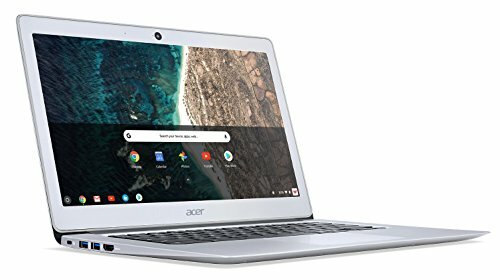 However, Acer‘s Chromebook 14 (CB3-431) is a straightforward device that simply aims to provide a low-cost alternative to a traditional laptop. 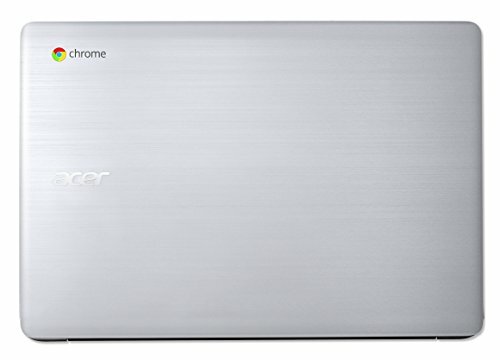 The challenge for any Chromebook, of course, is to keep prices low without making too many compromises. 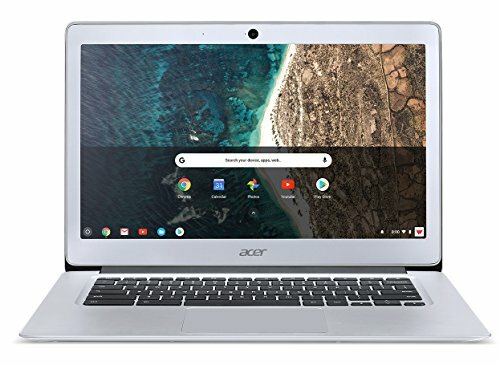 Thankfully, the Chromebook 14 achieves that aim, providing good build quality and connectivity, along with a 14-inch display, at a highly competitive price. 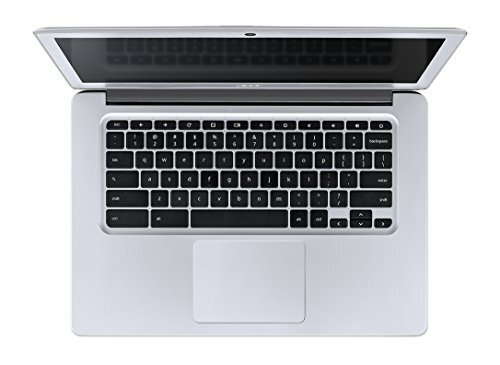 The design is hardly original, as the Chromebook 14 shamelessly imitates the design of Apple’s MacBook Air — right down to details such as the recessed keyboard panel and the hinge that connects the keyboard and screen panels. The 14-inch display means that its aluminium casing is 16mm wider than the 13-inch MacBook Air, but with the two laptops sitting side by side it’s only the slightly darker shade of grey chosen by Acer that really sets them apart. It’s a fair bit heavier, at 1.7kg, but you can still pick up the Chromebook 14 and carry it in one hand without too much trouble. 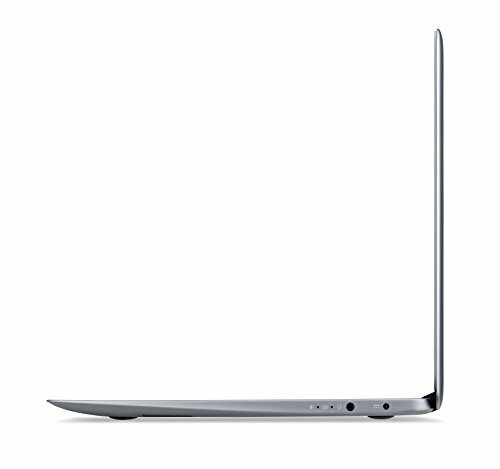 The 14-inch display is bright and clear, with 1,366-by-768 resolution (112ppi). The colours aren’t quite as crisp and vivid as we might like, suggesting that the contrast could be improved, but the display is perfectly adequate for web browsing, video streaming and simple document creation. Sound quality is good too, although not terribly loud, so a set of headphones or external speakers will probably come in handy from time to time. There’s a 3.5mm headphone socket for that, along with two USB 3.0 ports and HDMI for an external monitor. As you’d expect on a laptop of this price, you don’t get any extra bells and whistles such as backlighting when it comes to the keyboard, and the feedback from typing has a hollow, bouncy feel to it. However, the chiclet keys are nicely-spaced and offer a reasonable (if not spectacular) travel distance. The trackpad is similarly pedestrian but has enough space to comfortable navigate without ever feeling especially cramped. 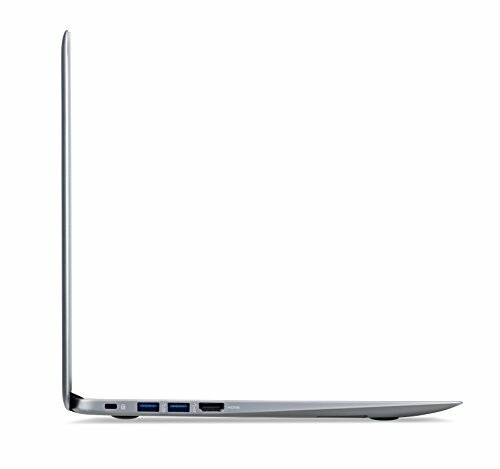 The surface is nice and smooth too, and it supports the limited number of multi-touch gestures offered by ChromeOS. 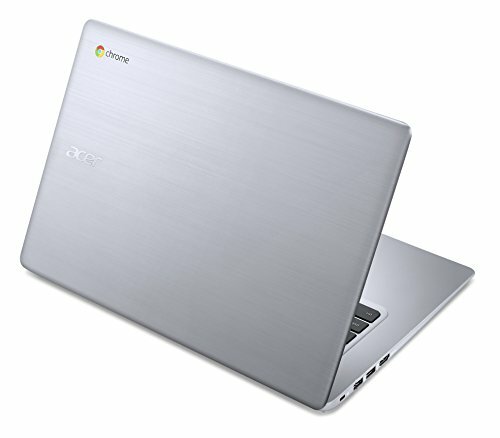 Here, we come to one of the biggest let-downs with the Chromebook 14. The display is a real disappointment and the biggest black mark against it. The 14in screen offers plenty of real-estate, but the quality of the panel itself is downright poor. It has a sub-1080p resolution of just 1,366 x 766, which we could forgive; what’s less excusable is that the maximum brightness of 213cd/m2 meant it was noticeably too dim for us to comfortably use. We frequently found ourselves peering at the screen, and hammering in vain at the brightness toggles trying to boost it a little bit more. The internal specifications are an improvement – although don’t expect this laptop to set any speed records. 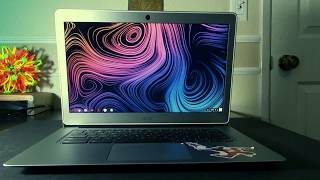 It’s kitted out with a dual-core Intel Celeron N3060 processor combined with 2GB of RAM, which isn’t a particularly beefy spec, and it shows in the performance figures. Its Geekbench scores of 1,141 for single-core tasks and 1,062 for multi-core operations puts it below most smartphones in terms of processing horsepower, and it’ll start to struggle if you give it more than a handful of Chrome tabs to deal with. For light multitasking – a couple of open apps and five or six Chrome tabs – it should work fine, but power users beware: this is not the machine for you. As with the display, the more expensive model is slightly better-equipped, although we still wouldn’t expect too much. 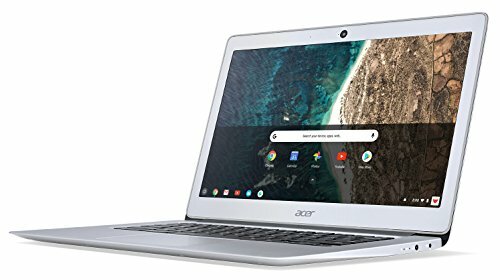 The good news is that those low-powered components mean that the Acer Chromebook 14 will last a very healthy amount of time before keeling over. In our battery tests, it managed to go for 10hrs 22mins before giving up the ghost, which is more than enough to get you through a full working day – which is handy, because there’s no fast-charging or USB-C charging here.